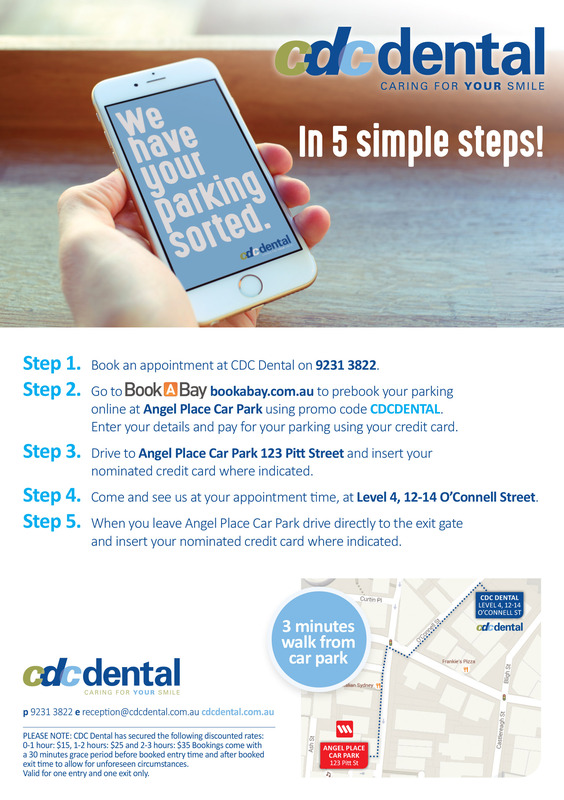 CDC Dental is centrally located in the Sydney CBD, with easy access by car, bus or train. We have arranged a special parking deal at Wilson’s Angel Place Carpark, 123 Pitt Street, just 3 minutes to CDC Dental. For information, view our PDF. If travelling by bus, exit at Wynyard Park, or on George Street or Castlereagh Street and then walk to O’Connell Street. The practice is located between Hunter Street and Bent Street at 12 O’Connell Street. CDC Dental is just a short 5 minute walk from Wynyard, Martin Place and Circular Quay stations.